In 1864 Senor Eloy Lecanda y Chavez decided to go into the Wine Business. He planted some vine cuttings on a suitable piece of land that he inherited from his father in the Ribera de Duero Region in Spain, an area known for wine making since the seventeenth century. Don Eloy noticed that the terroir of his land mimicked several characteristics of Bordeaux. Hence, aside from planting the endemic black grape, Tempranillo, he decided to plant some imported Cabernet Sauvignon, Merlot and even Pinot Noir vines as well. Unfortunately, the winery did not do as well in his lifetime and he died without realizing its full potential. Little did he know that his winery, Bodegas Vega-Sicilia, named after the lush greenery near the winery and Saint Cecilia, The Patron Saint of Music, would become one of the most respected wineries in the world. In 1982 current owners purchased the winery, the Alvarez Family, who continue to make sure that the winery only produces wines that befit its reputation. In fact, if for any reason, the winery is unhappy with its current vintage, they would rather discard the wine rather than release it. This has happened a few times in the past the last time being in 2001. This reputation for meticulousness has earned the complete respect of Oenologist and distributor of Vega-Sicilia Wines in the Philippines Juan Carlos de Terry who considers Vega-Sicilia to be one of the top five wineries in the world. Vega-Sicilia now has three wines in its portfolio. Its two top wines the Unico and Unico Reserva Especial are both highly regarded and are quite hard to come by. The Unico a blend of Tempranillo and different French grape varietals is aged for ten years: Initially in American and French Oak barrels for a number of years; then in the bottle for a few years before release. The Reserva Especial on the other hand, is a blend of three different Unico Reserva Vintages. Both wines offer an elegant and supple drinking experience that is unrivaled by other wines in the region. In general, it is recommended that these wines be only opened a decade or even two after its release to realize its full potential. Its third wine, the Valbuena 5°, so named because it is aged “only” for five years before it is release. The Valbuena is a predominantly Tempranillo Wine that has a small percentage of Merlot blended in depending on the vintage. Although it is technically a second wine, many aficionados are still impressed by its spectacular and well-balanced first growth demeanor. It is recommended that one opens the Valbuena 5° at least six to ten years after its vintage release. Parent company Tempos Vega Sicilia has bought a few other wineries in Spain to further enhance their portfolio. 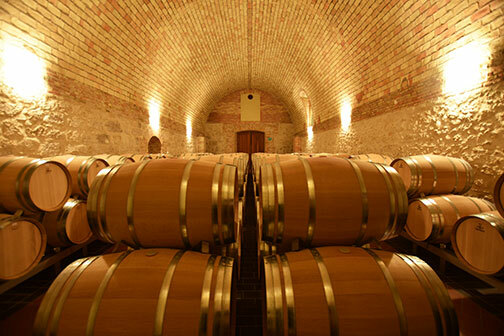 The first Bodegas y Vinedos Alion is also located in the Ribera de Duero Area. Alion produces a more modern Tempranillo tempered with the understated classiness of a Vega-Sicilia wine. Pintia was opened shortly thereafter in the Toro region. Wines made in this particular region are made using the Tinta de Toro grape that when vinified exhibits spicy and often harsh characteristics. Pintia’s wine makers were able to create a more genteel Tinta de Toro wine that does not lose its identity. Lastly a Joint venture between the Rothschild and the Alvarez families in the Rioja area created two wines, Macan and its second growth wine Macan Classico. Both wines come from the same Tempranillo base and are still at a point of major character evolution that only time will settle. 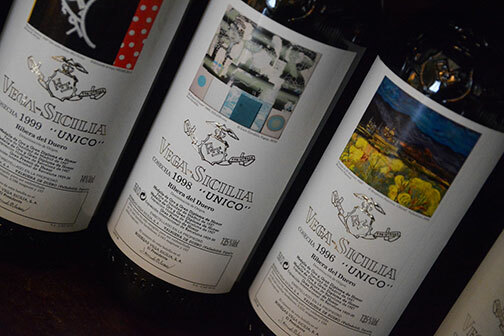 Although all these fine wines are produced independently, they carry the Vega-Sicilia imprimatur. This means that excellence is not only expected, but is a time-honored tradition. **This article came out in the September 2016 issue of Town and Country Philippines.